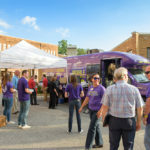 More than 1,700 community members received free over-the-counter medicine at an OTC Give Away Day held in April at the High Point University Community Center. HIGH POINT, N.C., Sept. 30, 2016 – NC MedAssist, High Point University, the United Way of Greater High Point, the city of High Point and High Point Seventh-Day Adventist Church are partnering to host a free Over the Counter (OTC) Medicine Give Away Day on Oct. 7. 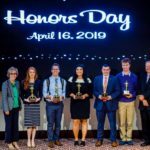 The event will be held at HPU’s Community Center inside Oak Hollow Mall (921 Eastchester Drive) from 9 a.m. to 2 p.m. and is open to any individual or family needing OTC medication. Identification is not required to participate. This will be the fifth OTC event held in the High Point area. Last April, over 1,700 individuals received over $100 each worth of OTC product which included items such as allergy relief, pain relief, indigestion relief, cold medicine, first-aid and vitamins. In addition to OTC product, High Point Regional and UNC Regional Physicians will be administering flu shots on a first come, first serve basis. 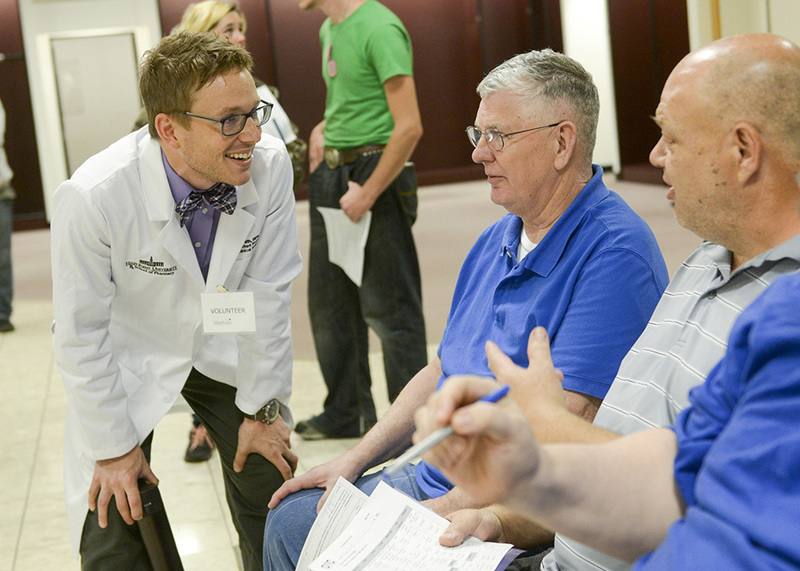 Faculty and students from HPU’s Fred Wilson School of Pharmacy will perform blood pressure and other health screenings, as well as assist in other aspects of the event, such as helping attendees determine which OTC medications best fit their needs. 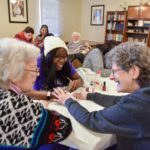 The OTC program is completely volunteer run, and there are opportunities for community members to serve in roles such as pharmacy consultation, client personal shoppers, and OTC sorters. 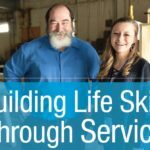 Anyone interested in volunteering can visit www.medassist.org to sign up. NC MedAssist’s overall goal is to help ease the burden for those who are making the choice between buying food or purchasing medication. 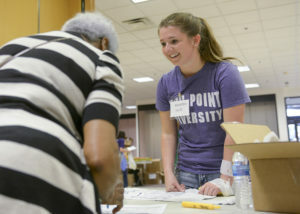 HPU student Erin Scerra helped a community member at the giveaway event. 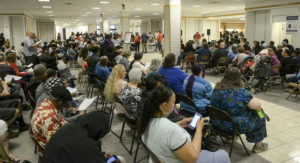 There are currently more than 33,000 people in Guilford County who live below the Federal Poverty Level and do not qualify for insurance. For more information on the OTC Program and NC MedAssist, please visit www.medassist.org.